Providing a family experience from a family with experience, La Grand'Terre is one of LUX-camp's best offerings if you're looking for a luxury camping site that everyone will love. 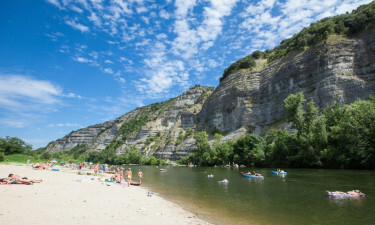 It is situated near the River Ardèche, in the green heart of south-central France. It provides comfortable accommodations coupled with plenty to do, both at its campsite and abroad. 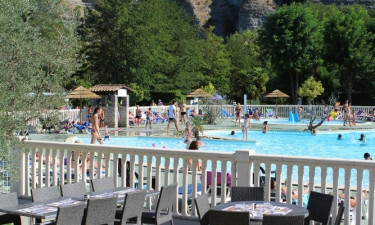 If yours is a family with diverse tastes, think about booking La Grand'Terre camping holiday today! The mobile homes that are available will make any camping holidaymaker sing, even if you've got someone more introverted who'd rather play games or watch TV. There's TV available, but to make sure you're comfortable the entire time, there's also air conditioning, dishwashing and hair drying, all available from right where you'll be staying! If you don't need all of these things, though, there are many different mobile homes available to suit your needs. Both close to home and abroad, La Grand'Terre boasts multiple museums, chapels and castles charting the growth of the region. Explore the history of a region of France with its own stories to tell, with swathes of land steeped in both greenery and stone. 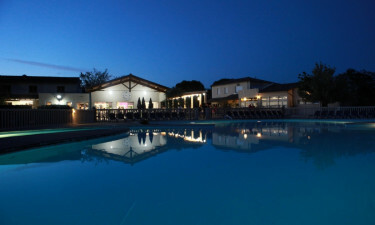 Or, if your tastes are more modern, La Grand'Terre offers week after week of entertainment right at the campsite, from games in the pool to karaoke! The bar at La Grand'Terre is suitable for adults of all stripes, and also provides free Wi-Fi, whether or not your mobile home included it. The restaurant provides breakfast, lunch, dinner and snacks (should the bar not be to your tastes), ranging from traditional French cuisine to familiar fare such as pizza and salads, as well as ice coupes for dessert. La Grand'Terre provides a small but well-stocked shop that offers everything from basic groceries to souvenirs. A number of other shops can be found along the River Ardèche, or west of the Gorges near major roads. For potentially more specific needs, a road close to the campsite provides easy, fairly safe access to the community of Ruoms, only 5 kilometres away.